A milestone has been passed. In the first six months of 2012 Google made $1.6 bn more in ad revenue than the entire US print industry -- that's not just newspapers, but magazines too. 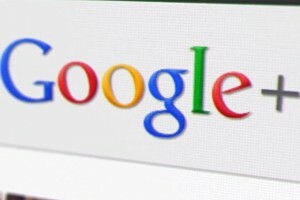 Google made $20.8 bn in ad revenue while US print media generated $19.2 bn. An infographic here packed with Twitter statistics. Among other things it highlights the disparity between Twitter's 500 million registered users and the 140 million active users. On top of that we have the stat that everyday Twitter picks up as many as 300,000 new visitors and one million new accounts are created. While the 2008 campaign was dubbed the first social-media election, in 2012 social is ubiquitous and much has changed. It is no longer the preserve of the young and the connected. Now, it belongs, increasingly, to everyone, but what lessons are there to learn? It seems like we have been at the tipping point of mobile advertising becoming a serious player to marketers for a long time, but the latest figures from our good friends at the IAB and PWC should give us all some serious food for thought. We learnt that mobile advertising has continued its meteoric rise, growing like-for-like by 132% to £181.5 million in the first half of 2012. Google has launched a fascinating, and controversial, project – an augmented reality game called Ingress. In it, Android device users move through the real world collecting pockets of energy, which can then be applied, to real quests in the free game. Ingress is an interesting prospect for advertisers. The link to real businesses and locations gives them substantial scope to reach people with highly localised, targeted advertising. If the prospect of a Foursquare on steroids doesn’t concern you, other potential developments of this product might. Interesting infographic here from Silverpop charting the user growth of the current top 20 social networks. As well as providing a snapshot of their current standings in terms of numbers, it also picks out the importance of long term growth for the survival of a social network. TV success is extremely hard to find. The number of series in the US that started brightly and are never given a second series is never ending. Some real crackers like Alcatraz and Awake failed the first series test and were canned before frustratingly revealing their secrets. There is one area that had become bankable, marketable and taps into every generational target audience. Fairy tales. And they have used social media to create that lost “Lost” effect that is TV gold. Two of the most successful TV series of recent times (i.e. they both got commission for a second series in the US) are both based on fairy tales. 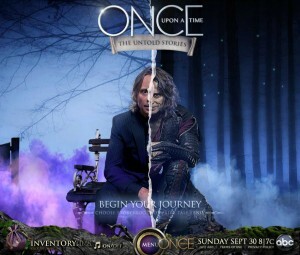 The first is called Once Upon A Time and the second Grimm. Twitter looks to be expanding into Australia, as it begins meetings with key bloggers, celebrities, and high profile sports men and women in Sydney and Melbourne. Some news sources believe that the office in Australia could be opened in time for Christmas next year. This meetings will be held by Mike Brown, who is head of international development for Twitter, and will also feature Omid Ashtari, the head of Twitter’s sports and entertainment team and Jenna Mannos, from the same team, via video link. 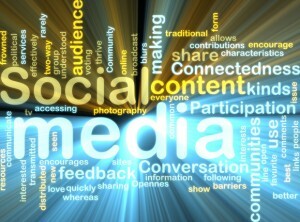 It is often said by social media detractors that people only use social networks to share what they are eating. That certainly seems to be the casewhen it comes to Thanksgiving and Instagram. Towards the end of last week Instrgram announced that Thanksgiving was the photo sharing apps biggest ever day. In a blogpost they said that over 10 million postings relating to Thanksgiving were posted last Thursday. Last week I looked at how the phenomenon of the second screen in television advertising was developing, in relation to Ricky Hatton’s (unsuccessful) return to the boxing ring. In that case the team their had a social media campaign launched around a one-off piece of event television. However, the same techniques are being increasingly used around more general television viewing. Over the last few months we have been closely monitoring Facebook’s determined efforts to improve its standing in the mobile space here on The Wall. The company are desperately trying to monetise mobile ads, and find other ways to bring in revenue via people’s phones. For example they are building relationships with mobile carriers around billing. 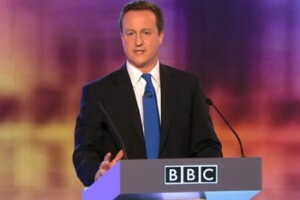 Prime Minister David Cameron arrived in Brussels today to discuss the EU Budget with other senior political figures. It’s a difficult issue for Prime Minister and the Conservative Party that he leads, so Cameron’s team will be keen to get his message out, especially as rumors are now circulating that the summit has stopped without agreement. As is the way in modern politics, social media will be a key part of this. Journalists, businesses, sports stars, musicians are all competing for social media influence. All that’s before the rest of us try and add our expertise. This all adds to a lot of noise on social media, and it can be hard to know initially who to take seriously. Various services like PeerIndex and Klout seek to try and help users cut through the crowd and highlight authoritative figures online. They now have a new service to compete with called PeerReach that was founded in September 2011 by Zlatan Menkovic and Nico Schoonderwoerd and already has a database of 50 million accounts. The Wall is a digital blog that helps the marketing, media and communications industries to understand the effects of emerging technology and media change. From ecommerce and email, to search and social media, The Wall features expert commentators and analysis of digital developments.